Admission to UW Bioengineering’s Ph.D. program is competitive. While we are impressed with the quality of applicants each year and genuinely appreciate each candidate’s interest and application, we regret that only a small number of students will be offered admission each year. Have a question about applying? Review the Ph.D. Admissions Frequently Asked Questions. The application deadline for Autumn 2019 admission has passed. Deadlines for the next application cycle for Autumn 2020 admission will be posted in early 2019. Applicants are responsible for ensuring their application is complete and received by the deadline in order to be considered for admission. Late applications will not be reviewed, no exceptions. Review this page carefully to understand the application process: deadlines, policies, documents needed, selection notification and more. Visit the UW Graduate School’s website to understand the overall application process. If you don’t find your question answered there, please contact an academic counselor via our contact form or emailing bioeng@uw.edu. The review of completed Ph.D. applications starts in December and continues through mid-February. Skype interviews for selected applicants will occur mid-January to mid-February, 2019. Admission offers will be sent mid-February, with a recruitment event to follow on March 14-15, 2019. Students who are selected will be notified well in advance. The department is unable to interview applicants at any other time. If you are waiting to hear about the status of your application, please check the email account you submitted with your online application and also log back into your application profile. You are a domestic applicant if you are a U.S. citizen or hold immigrant status (permanent residency/have a green card). You are an international applicant if you have/will have a non-immigrant visa status, including F-1, J-1 Exchange Visitors, H-1, dependent visas. International students must have a U.S. visa status that allows academic study at the University of Washington. International applicants are strongly encouraged to review the UW Graduate School FAQ for International Students. Domestic and international applicants must complete the Graduate School Application and pay a $85 application fee. The following materials must accompany each application. Late or incomplete applications will not be reviewed, no exceptions. GRE scores must be directly reported from ETS to UW (use institutional code 4854; department code 1603). GRE scores must be valid and five (5) years old or less on the date the application is submitted. Applicants may submit self-reported GRE scores by the day of the deadline (December 4, 2018). Official GRE scores must be submitted and properly uploaded into a candidate’s application by January 1, 2019. The Department of Bioengineering will not consider an application “complete” unless GRE scores are submitted and received according to the deadlines indicated above. Unofficial transcripts from all institutions attended must be uploaded into the Graduate School online application. Paper transcripts will not be accepted. Applicants should not submit official transcripts unless explicitly requested. Each applicant must designate three (3) people who will write letters of recommendation. Each writer will immediately receive an e-mail directing him/her to a secure website to submit the letter of recommendation online and complete an evaluation form of the applicant. Typically, mentors who have seen you in a lab environment, as a researcher, and can speak to your research experience, content and progress will provide your strongest recommendations. We ask recommenders to talk about your research experience, strengths, and your ability to overcome obstacles. The official Ph.D. application deadline is December 4, 2018. All letters must be received by the deadline in order for an application to be considered complete. Applicants should track the status of the letters of recommendation by logging back into the online application. 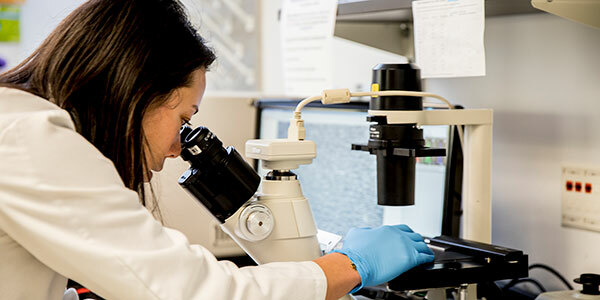 The Statement of Purpose is a clear and succinct description of a candidate’s reasons for applying to the Department of Bioengineering at the University of Washington, motivations for entering bioengineering, and preparation for advanced research. Additionally, applicants must discuss unique circumstances or obstacles overcome in obtaining their education, as well as how they could contribute to diversity in the Bioengineering program and at UW. This statement should be two pages or less. Applicants should review information about UW Bioengineering faculty and research for relevant statement of purpose information. If you have received a fellowship or grant for your graduate studies, please respond with the name and also attach any associated documentation with additional information about the award. If you are in the process of applying for grants or fellowship, please respond: I am in the process of applying for X, Y, and Z. If you did not apply for any grants or fellowships for your graduate studies, please respond: “N/A” or “not applicable”. All international applicants are encouraged to first visit the UW Graduate School to understand the overall application process. International applicants are required to meet English proficiency standards as determined by the UW Graduate School in Memorandum No. 8. International applicants who will not earn Bachelor’s, Master’s or Ph.D. degrees from U.S. or approved English speaking institutions prior to matriculation into a UW graduate program must submit official TOEFL scores, less than two (2) years old, directly from ETS to the department. International applicants must meet minimum score requirements as stated in Memo 8 in order to be considered for admission. Please use institutional code 4854; no department code is required. Official TOEFL scores must be received by 11:59PM (PST) on the day of the program deadline (December 4, 2018). International applicants who do not need to complete the TOEFL due to having a US or other approved country degree are instructed to select the TOEFL exam option on their application and enter an exam date that is later than the anticipated graduation date. Applicants should not register for the TOEFL though ETS nor will they need to enter TOEFL exam scores in their application. Once the candidate’s degree is earned and posted on the official transcript, the English language proficiency requirement will be removed from the application. Applicants should plan to take the TOEFL well in advance of the application deadline to ensure that the official scores are uploaded by the admission deadlines. To avoid additional and/or unexpected delays, a candidate’s name should appear with ETS and with the Bioengineering application exactly as it appears on the candidate’s passport. The Graduate School only requires additional application materials from international applicants when they are recommended for admission. Applicants should not submit additional application materials unless explicitly instructed to do so by the Graduate School.